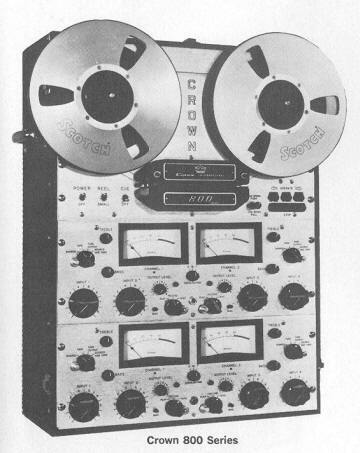 Crown Tape Recorders were considered one of the best available after the Ampex models. They were usually found in most studios for editing work and were often the main Master Recorder in smaller studios. They were a very rugged machine and performed great. Crown had tubular glass tape lifters that could fall out.